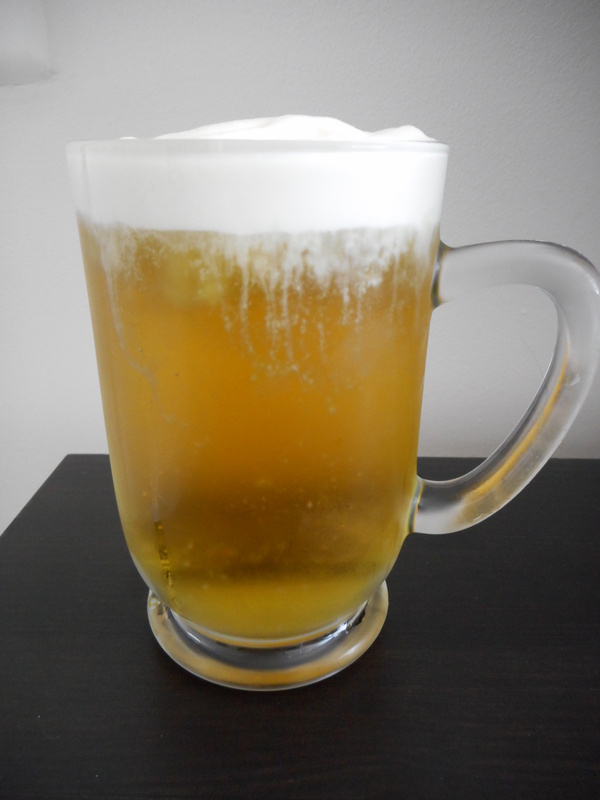 Over the course of three years, I have tried several different butterbeer recipes in an attempt to taste something somewhat close to the official, Rowling-approved version sold at The Wizarding World of Harry Potter. I didn’t visit the park until October 2014, when I volunteered myself for a work conference upon discovering it would be held near the park in Orlando. So in those three years of darkness, I couldn’t really say whether the recipes I tried were close to the real thing. When I finally tried the Rowling-approved butterbeer at the Wizarding World park, I found it tasted almost exactly as the internet had described. I had the frozen version, which was almost slushy-like in consistency. During that day at the park, I ended up buying two mugs of that frozen butterbeer and finishing them both (I shared them with my friend, of course, but I think the split was closer to 90/10 than 50/50. Sorry, Halley. It was totally for science). Having tried it at last, I felt a little better equipped to continue my search for the perfect recipe. I don’t know what took me so long to find the winning recipe, which has been online since before I started my butterbeer quest. The secret is the addition of imitation butter extract, which provides a buttery flavor without adding any additional sweetness. Another thing I liked about the butter extract was that the flavor it lent was purely, well, buttery. Not butterscotchy. By buttery I mean it was closer to the butter flavor in butter pecan ice cream than it was to butterscotch, if that distinction makes sense. It makes sense to me, at any rate–I don’t actually like butterscotch, but I love this. First, the technique. Recipes advising to freeze the butterbeer and stir it up and freeze it some more and stir it up some more are respectable, but I wanted something a little faster. Enter the ice cream maker. 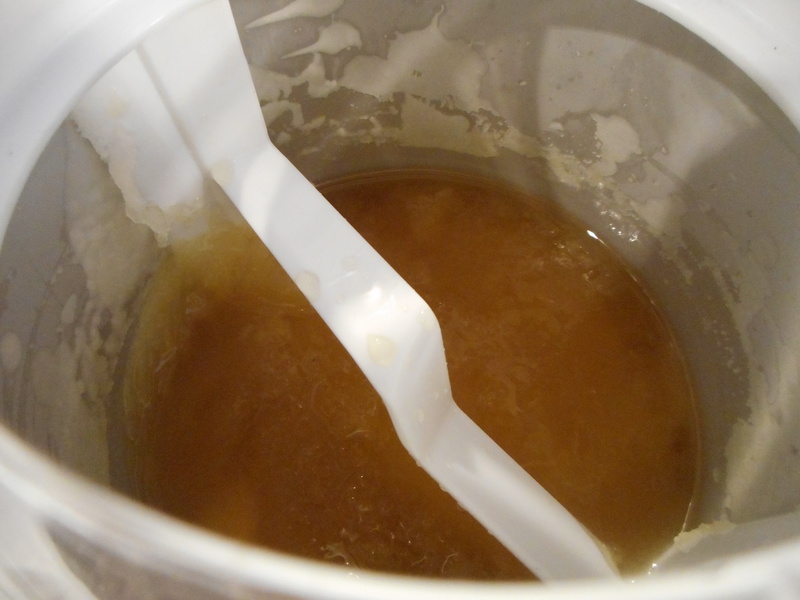 By letting 2/3 of the cream soda mixture churn in the ice cream maker for ten minutes or so, it becomes a perfect slushy consistency. Adding in the remaining, unchurned third ensures that the butterbeer is plenty carbonated and drinkable. And then there’s the cream topping. I found the cream topping at the park to be sweet, buttery, and a little salty. The salt provided the perfect complement to the sweetness of the beverage underneath, and I wanted to make sure my cream incorporated that. The consistency was also particular–it wasn’t fully whipped; it was more like someone started whipping the cream and then got bored and wandered off. 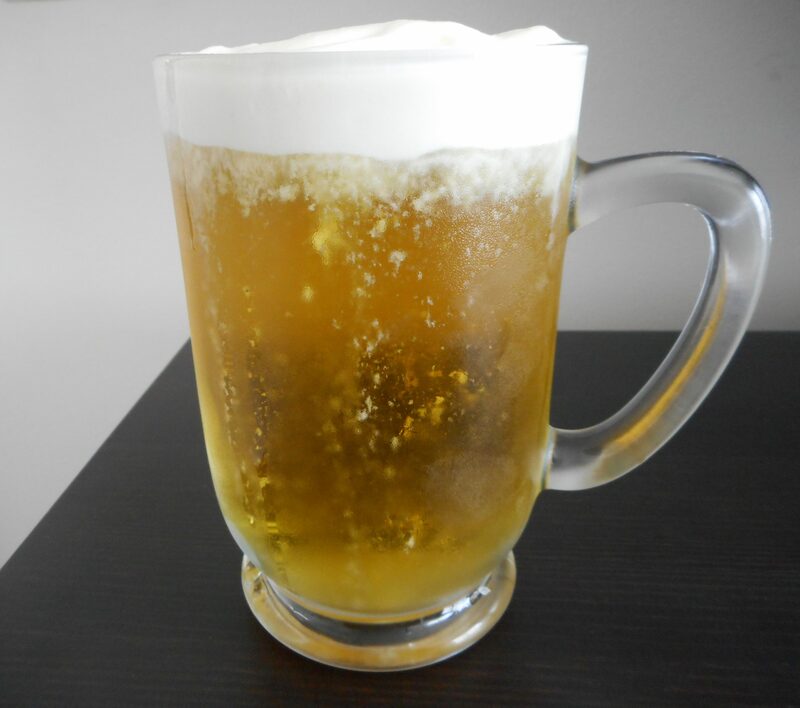 Strange as it sounds, though, it made for the perfect texture–firm enough to sit on top of the butterbeer, but soft enough to remain drinkable. My method involves whipping the cream partway and flavoring it with the imitation butter extract, powdered sugar, and a pinch of salt, thereby ensuring a soft, buttery, and slightly salty topping. Spoon some on top and you have yourself a butterbeer (Rowling approval pending). But this is just my favorite version. 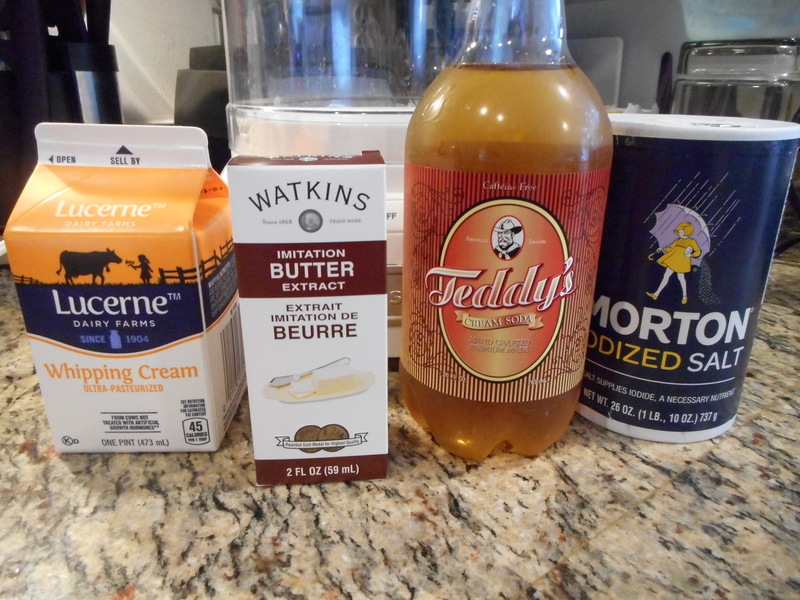 If you think butterscotch syrup (or melted butter and brown sugar) will bring you closer to your ideal interpretation of what butterbeer should be, go for it. This recipe is just what I happen to see in the Mirror of Erised. 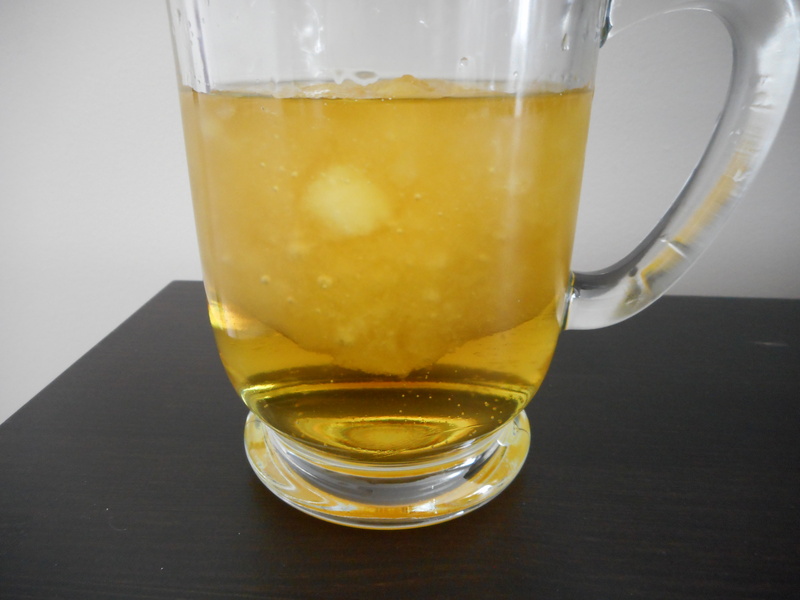 Divide the slushy mixture into two mugs or glasses (or one large one). 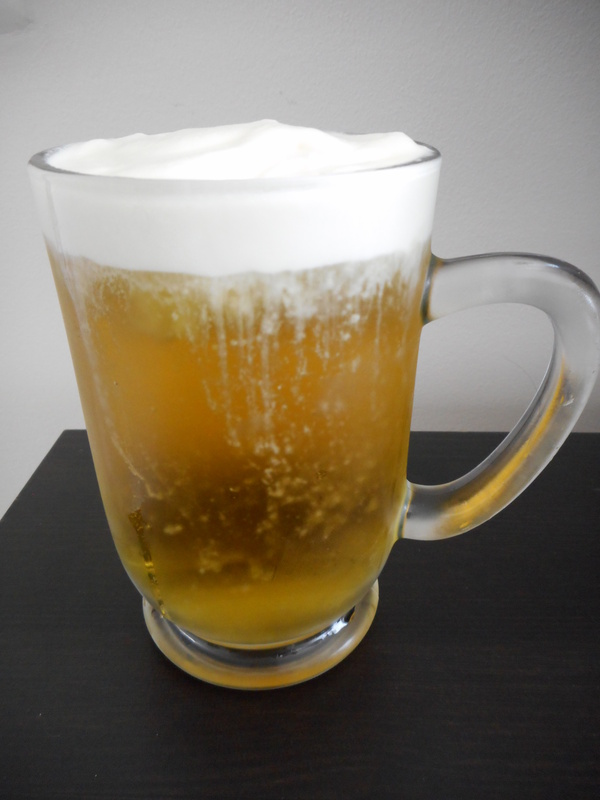 Pour the remaining cup of the non-churned soda mixture on top of the into the glasses and top with the whipped cream. Combine all ingredients and use a whisk (or hand mixer if you’re fancy) to whip the cream until it is thickened but still a little soft–we’re hoping for pre-soft peak stage. Spoon the mixture on top of the butterbeer and enjoy.